A philosophically and academically rigorous argument that charts one way to political reconciliation in these divisive times. At the outset, Gorski (Sociology and Religious Studies/Yale Univ. ; The Protestant Ethic Revisited, 2011, etc.) declares that he’s not writing for scholars, but although he generally adheres to that aim, he sometimes crafts thick paragraphs with multiple allusions that might daunt general readers. His work is also organized in a traditional academic format, featuring introductions, conclusions, lists of points and distinctions, and more than 70 pages of endnotes and bibliography. Nonetheless, this is an important work, one that returns us to our national origins, examines the evidence about our founding—and our founders—concerning religion and its interactions with public policy. 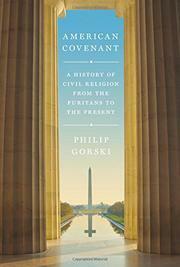 Gorski dispels any number of hazy historical beliefs, on both sides of the political spectrum, including the notion that the United States is a Christian nation or that we are an entirely secular nation. He spends much time defining, and refining, his terms and categories and includes the work of many philosophers, historians, writers, and political figures to illuminate his points. Some are names quite familiar—e.g., Frederick Douglass, Martin Luther King Jr., Jerry Falwell, and George W. Bush, while others will be principally familiar to academics (Robert Ingersoll and John Rawls). Gorski is frank and unapologetic about his own left-of-center leanings and issues dire warnings about what will happen if we fail to heal our divisions. Unfortunately, most of his suggestions at the end of the book are unlikely to occur—e.g., “make civic holidays into holidays again”—and though he warns about public ignorance, it’s surprising that he does not emphasize more emphatically the absolute necessity of improving our system of public education. Though the narrative is occasionally as dense as a rain forest, it will be rich and rewarding for the determined explorer.